With a flurry of franchise deals and record sales, ZIPS Dry Cleaners is on a roll—and the best is yet to come. “We expect ZIPS to be a recognizable and profitable national brand by 2030 with sales approaching $1 billion annually,” estimates Drew Ritger, chief executive officer of ZIPS franchising. In the meantime, the Greenbelt, Maryland-based brand, known for its revolutionary one-price, same-day strategy, is growing with gusto. ZIPS has a burgeoning development pipeline. The brand, which operates 55 stores in six states, along with Washington D.C., has inked franchise deals for more than 200 locations, with plans to make its presence known in 10 states by the end of next year, and double that number in 2020. To reach those goals, ZIPS is hitting the road to growth with experience. The brand is expanding with existing franchisees and new, seasoned multi-unit operators, says Ritger. 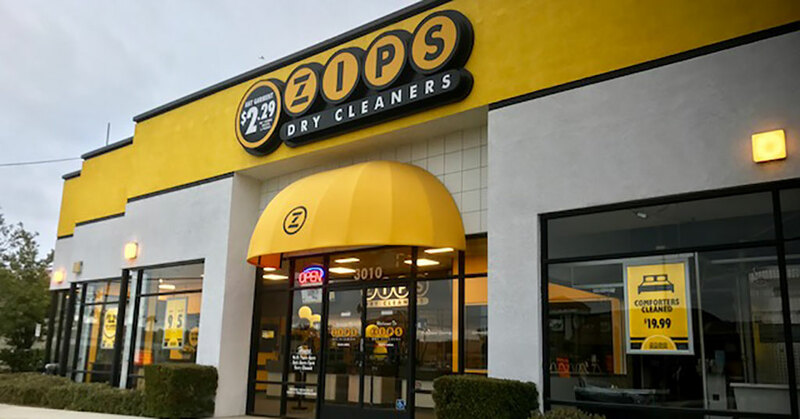 Founded in 1996, ZIPS launched franchising a decade later, shaking up the dry cleaning industry and saving consumers considerable cash, with its one-price-for-any-garment business model. Whether the item is a necktie, coat, or a pair of pants, the price is $2.29, 60 percent less than the national average. Garments are cleaned on-site, allowing for same-day service. ZIPS profit margins are among the best in the country, in an industry with exceptional margins, notes Ritger. “We attribute much of our success to the almost 300 years of combined dry cleaning experience that our investors bring to the single price, value-oriented segment of the market in which we operate,” Ritger says. ZIPS also leads the way in the search for new environmentally friendly practices. The franchise recycles thousands of hangers each year, uses 100 percent biodegradable plastic bags, and is always looking for strategies to reduce water usage and waste production. Consumers are embracing the innovative brand. Discover the opportunities. Visit discover.321zips.com or contact Sarah Moudry at 240-437-4752 or smoudry@321zips.com.